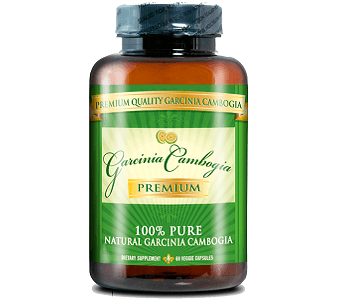 Today we review Garcinia Cambogia manufactured by Potent Organics. We know sometimes it can be hard to lose weight not even to mention maintaining your ideal weight. In a society where it can be easy to indulge on a regular basis, it is important to try and keep your health a priority. Garcinia Cambogia claims to suppress your appetite, control your cravings and help with your overall weight loss process. If you are serious about reaching your goal weight then adding a supplement to your diet to help you attain your goals might not be a bad idea. Read our review below if you want to find out more about this product. Potassium is known for improving glucose transfer and for maintaining electrolyte balance in the body. It also improves levels of stress and blood pressure. Calcium is also known for promoting weight loss and helps to keep your bones healthy and strong. Chromium promotes lean body mass and can also increase your metabolic rate. 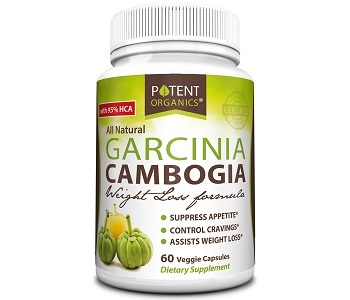 Garcinia Cambogia Extract is extracted from a tropical fruit that helps the body to lose weight and that can also help maintain your sugar and cholesterol levels. It is recommended that you take one supplement twice a day. It is also best to take the supplement 20-30 minutes before a meal with a glass of water. Side effects of taking Garcinia Cambogia in large dosages may include nausea, dizziness, dry mouth or headaches. It is advised that you do not exceed the recommended daily dose. Pregnant or nursing mothers, children under the age of 18 or people taking prescription medication are advised to consult their doctor before taking this supplement. This product can be bought directly from the manufacturer’s website. Normally they charge $49.97 for one bottle containing 60 veggie capsules, but they are currently selling the product for $16.97. You can also buy this product in-store or online at various 3rd party retailers. You have a 60-day refund policy to make use of if you buy this product directly from the manufacturer’s website. Unfortunately, they don’t specify in what condition you can return your product, and if you are subject to the shipping and handling fees. Feedback regarding this product is mixed. Some customers reported that they are satisfied and others reported that this product did not help them lose weight at all. Some customers also reported that this product gave them diarrhea and made them lethargic. We like that this product has a wide range of ingredients that have been shown to be beneficial to losing weight over the long run. We also like that this product has a 60-day guarantee policy if you find that you are not satisfied with the results. However, we are not satisfied with the lack of specificity when it comes to their guarantee policy. We also do not feel convinced regarding the effectiveness of this product after reading some of the customer reviews on Amazon.